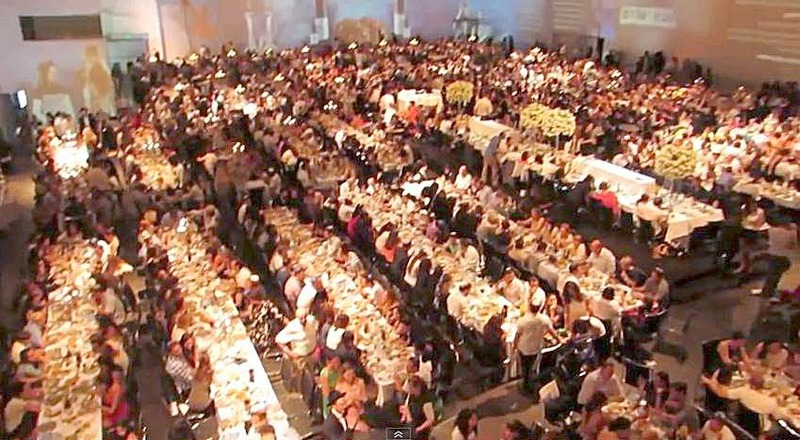 Two weeks ago, more than 2,000 people sat down for the largest Shabbat dinner ever in Hangar 11 of the Port of Tel Aviv. Sponsored by the White City Shabbat organization, the event attracted people of every age and from every religious stream. With a waiting list of more than 3,000, the dinner – which featured 800 bottles of wine, 80 bottles of vodka, 2,000 challah rolls, 1,800 pieces of chicken and 1,000 pieces of beef – was sold out for two weeks. In the seats at the June 13 event, which was co-sponsored by Chabad and a wide range of religious, political and other organizations, were many prominent members of the Jewish community. Among them: Tel Aviv Chief Rabbi Yisroel Meir Lau, Harvard law professor Alan Dershowitz, Israeli basketball legend Tal Brody and Tel Aviv Mayor Ron Huldai. The dinner conformed both to Jewish law (all the food was kosher) and the regulations of the Guinness certifiers (everyone had to be seated and served within five minutes, the dinner had to last an hour). Enjoy the video and Shabbat Shalom!